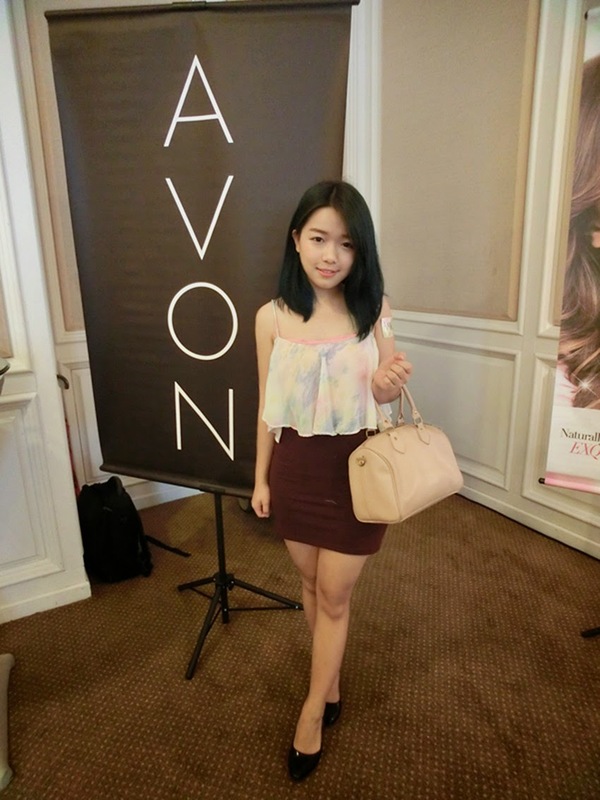 Amelie's Blog : Avon - Girls day out! It's girls' day out! Nothing amazing unless you are spending a day with all the girls who shared the same interest around you, sharing fun moment on skin care and also make up! Thanks to Avon Malaysia and Ruby for the invitation so that I can attend this fantastic workshop at @Royale Chulan Damansara Hotel! 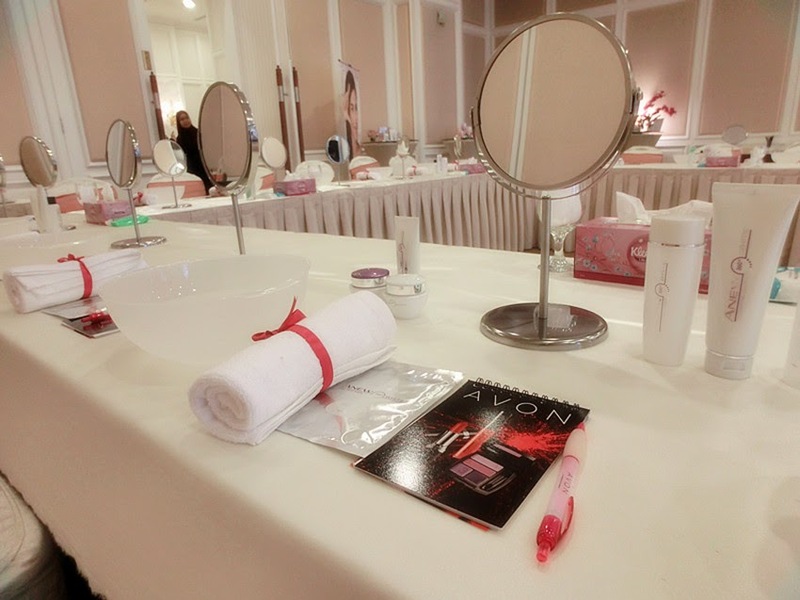 In this workshop, all of us were introduced to Avon new range of products -- ANEW 360° White which launched earlier on May. 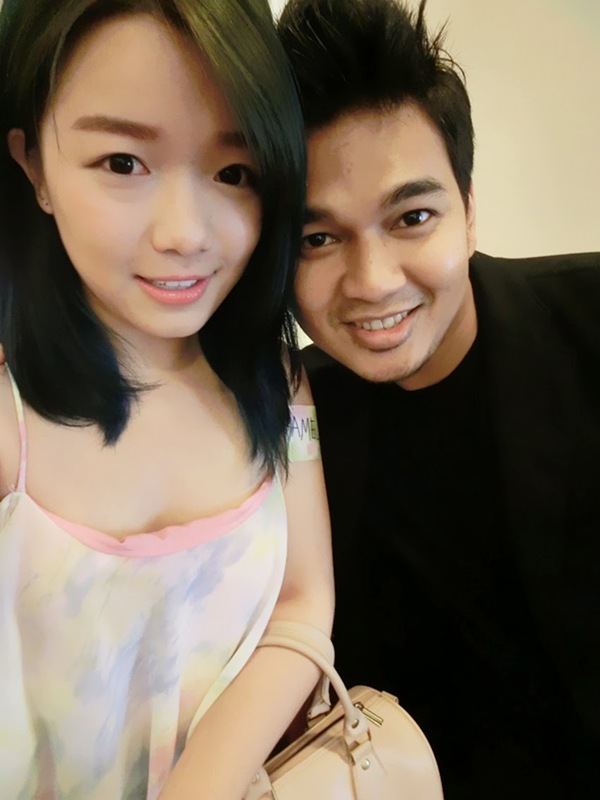 In this series, they are using exclusive 'Melanin Captivation Whitening' technology which works deep into our skin dermal layer, in result with long lasting whitening effects. As titled of 'ANEW 360 White', these range of products work 360 degree on our skin, suppressing the growth of Melanin layer by layer, giving us a whiter and radiant skin! What's so special in these range of products? 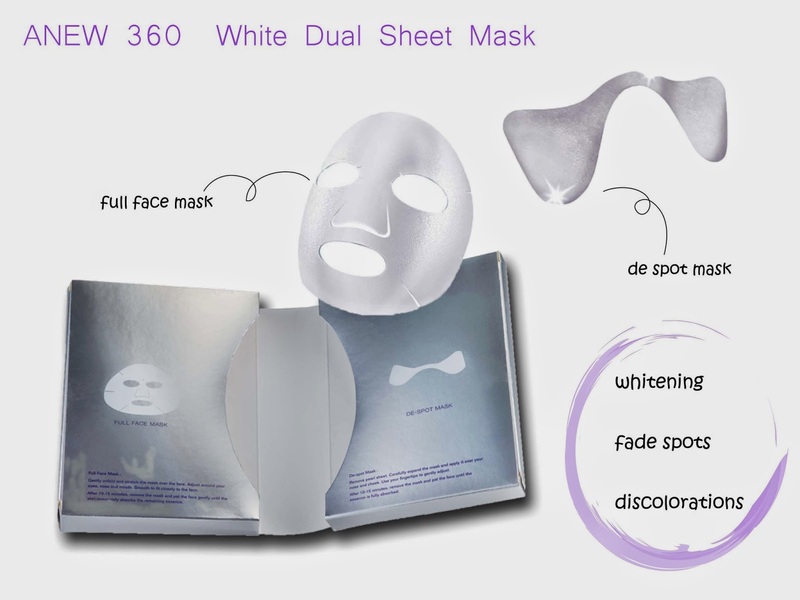 The ANEW 360 White dual trearment mask which is a 2-step masks (full face / de-spot) with intensive whitening ingredients to get rid of spots on full face and also cheek! It comes with a box which consist two types of masks, 5 pieces for each side, 10 pieces in total! 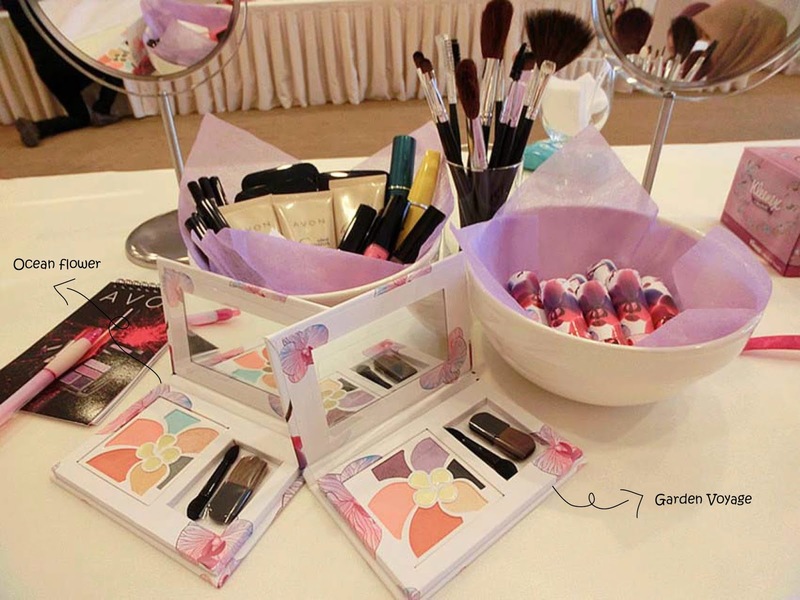 To have some hands on activities on the products, all of us came barefaced. This was how I looked like a dead fist wtf. 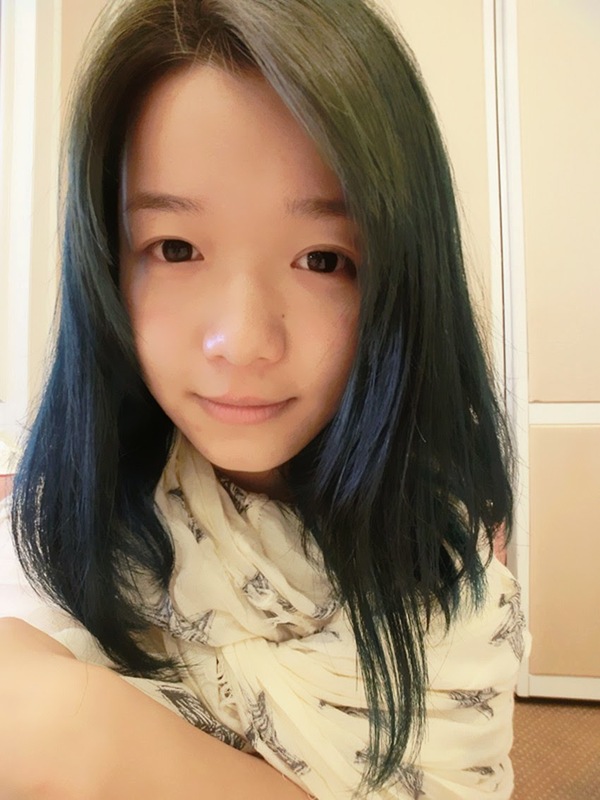 So all of us started off with masking up our hair and got on with basic skincare steps! First of all, we cleansed our face, then carried on with toning. After toning, we were asked to put on the mask! Followed by moisturizing and of course never miss out any daily UV protection step! Haha I have to say, this was my favorite and most anticipating session! You see, full sets of products which letting us to try on! In 'Over Nature Makeup Palette', it comes with two exclusive palette : Ocean Flower (day use) and Garden Voyage (night use). These palettes come with both complementary eye shadow and blush set, featuring vivid colors of cheeks and eyes. 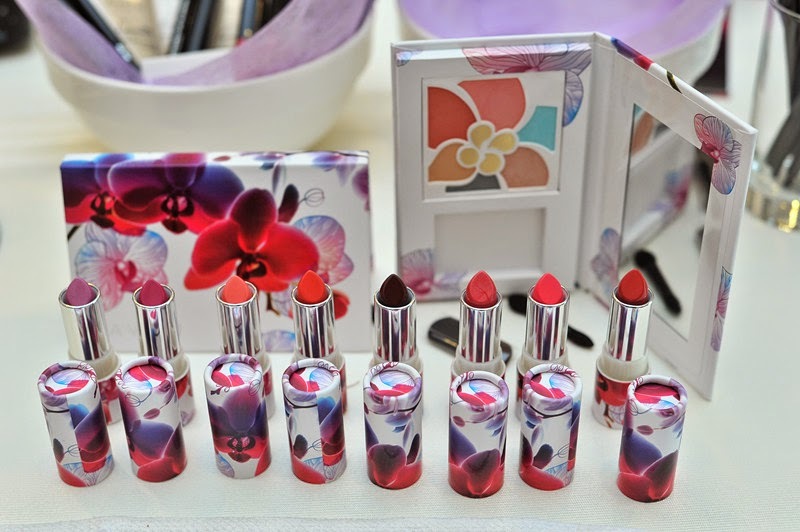 Besides, Avon presents you Ultra Color Rich Over Nature Lipstick which comes with 8 blooming shades: Romantic Peony, Tropical Coral, Pink Lily, Tender Tulip, Rose Blossom, Cherry Berry, Wild Rose and Extatique Hibiscus ! In this make up session, we were guided by a friendly yet famous Makeup Artist, Mr. Najeeb! We definitely have a lots of laughter with him around! Even though I am a make up artist, doesn't mean that I can't learn from any other make up artist. Never stop learning because everyone has their own strength and of course discovers anything around you! Jang Jang! 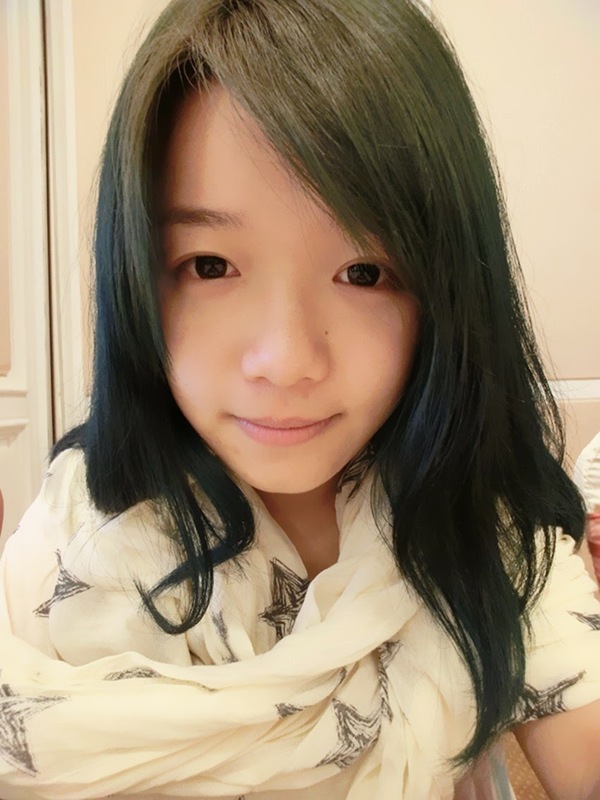 Here's the result after skincare and make up! Look lively right compare to the first shocking picture LOL. I love this lipstick so much, it's so moisture and the color is so radiant! (Using Avon Tropical Coral in picture) Beside lipstick, I found that the coverage effect of Avon foundation was amazing as I can even cover my dark circle using foundation only! After make up, selfie is a must! A picture with new blogger friend, Nannie. I really love attending event, because I made lotsa friends! Last but not least, my #OOTD for that day.